The Rumble is much bigger than just a street dance. Get your crew together and take part in the variety of events taking place during Estevan’s biggest celebration! We have teamed up with Penta Completions Estevan Minor Football to bring you this awesome tournament during the Rumble! Contact Kevin at emfmort@gmail.com for more information or to register! Must be 18+ to register! We are excited to be teaming up with Estevan & Weyburn Adult Rec Soccer as they host their Party on the Pitch. To register or for more details, email Roberta at roberta_edsinc@sasktel.net. Proudly sponsored by BDM Roofing! Estevan Motor Speedway is bringing back the Eve of Destruction! Contact Jeremy at JS Truckmart for more registration information. TS&M Woodlawn will be offering free range balls on Saturday, July 27th in celebration of the return of Rafferty Rumble. We will also be offering a free 60 minute Golf Clinic for all ages and abilities on the Saturday at 2pm. Email Dave for more info. 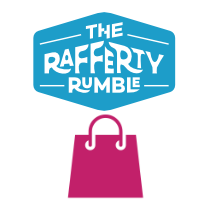 The Rafferty Rumble will be proudly fuelled by Bud Light. Thanks for your sponsorship and support!